WINE, CIDER OR BEER? Choice accompaniment for your cheese. HOMEPAGE > WINE, CIDER OR BEER? CHOICE ACCOMPANIMENT FOR YOUR CHEESE. With the cheese season well and truly underway, our thoughts turn to the beautiful meals, banquets and super snacks we will be serving and hopefully enjoying through the dark nights and long festive evenings. 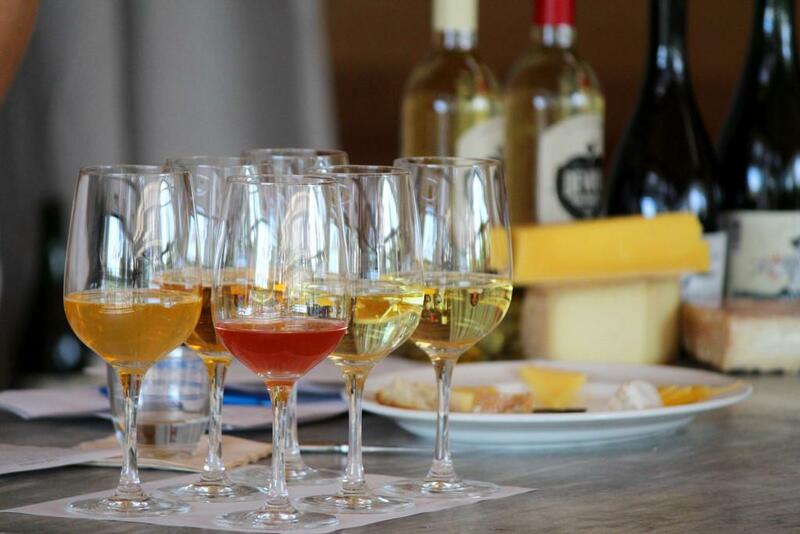 Matching and pairing your cheese with a perfectly balanced accompanying drink not only makes sense, but it can also actually enhance the experience and taste of both beverage and of course, your delicious cheese. Pairing is not just about wine – the range of craft beers and ciders on the market mean that there is something out there to suit every taste. Luckily the same few wise guidelines (and let’s be honest - no two palates are the same) apply to wine, cider as well as beer. And if it’s true ‘terroir’ you are chasing, there is a very good reason both cider and Cheddar come from Somerset – apple trees and rich pasture both like rain! And if it is a perfect accompaniment you are seeking, then cheddars true bedfellow might just be cider. Two basic tips seem to help when matching beverage and cheese. Tip number one is that bold wines, beers and ciders are a good choice with aged cheese such as our Mature and Vintage Cheddars. Big bold wines steeped in tannins like a Cabernet Sauvignon or Malbec for example. Cider wise, look for dryer styles, even oak aged ciders, for example, will stand up well to stronger flavoured Cheddars. Beer lovers – look to fresh and hoppy IPA’s or a full-bodied Belgian style beer. Our Cave Matured has softer notes but still brings big flavours. You can pair this stunning Cheddar with reds that are a little less robust. Pinot Noir is an excellent example. Chardonnay’s oaked or otherwise can make a good bedfellow. Cider wise, look for big apple flavours – medium dry. Lighter beers, pale lagers or wheat beers make perfect sense. 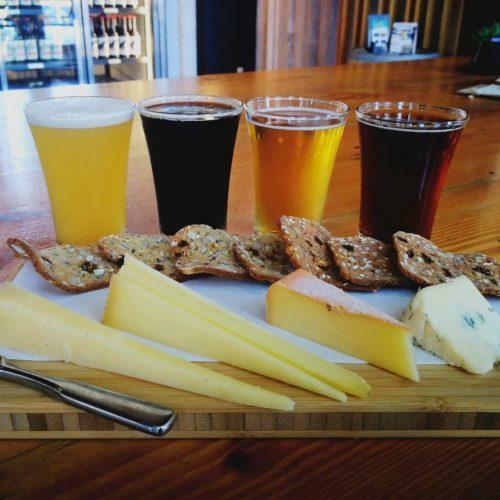 Tip number two is that funkier cheeses go very well with sweeter drinks. Oak Smoked, (albeit not funky!) sings with a delicate smoky sweetness and here you can have a lot of fun making your match work. Shiraz or a slightly sweeter red is a lovely starting point. Merlot also works well. Darker beers, rich and sticky start to make sense and crisper sweeter ciders big and heavy with apples are just perfect. This is where Port comes into its own, along with sweeter wines and ciders – there are some lovely rich fermented ciders that are a match for Port. Pilton’s Fire and Ice range proved really popular when we had a recent tasting here in the shop. Stouts and rich dark beers are a perfect foil for a salty creamy blue. Our Natural Blue Cheddar fits in here perfectly or, why not make the most of our Especially Strong? It’s about as Funky as a Cheddar gets and is definitely robust. When it comes down to it, pairing is a matter of personal taste. If you really wanted one drink that would go with just about anything, you might be pleased to note that Champagne is that drink! And we’ll definitely drink to that.